Things have been moving and shaking behind the scenes here at the Southern-Fried Gameroom Expo. We are pleased to announce the addition of several new guests to the show and one VERY exciting film screening event! 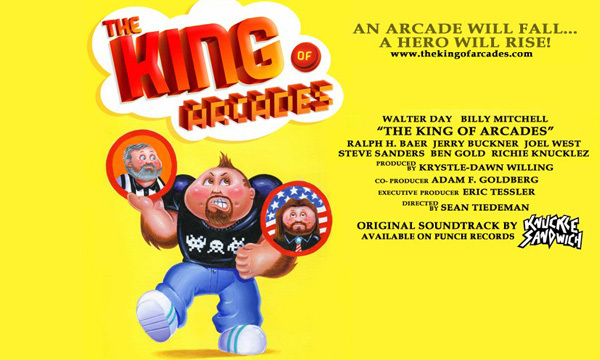 SFGE is thrilled to announce a special engagement as we offer one of the earliest public screenings of a new documentary feature film, “The King of Arcades”. The final cut of the film just went to pressing a few days ago and we have been presented with an opportunity to screen the film this summer before its limited theatrical release and subsequent festival circuit rounds. 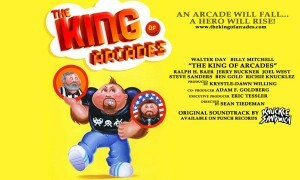 An arcade will fall. A hero will rise. Starting as a passion project, this movie launched an unexpected journey; from discovering the historic past in video game pioneer Ralph Baer’s personal workshop, to capturing the present as the Smithsonian Museum recognizes gaming as art. Along the way, the crew encountered an interesting cast of characters including game developers, high score players, and arcade enthusiasts. Join Team Knucklez on this pilgrimage in search of what inspires the passion of the video game culture. The film is directed by Sean Tiedeman and Co-Produced by Adam F. Goldberg (ABC’s “The Goldbergs”).